As you all know, Chichen Itza is one of the 7 Wonders of the World. In the Yucatan Peninsula will find the Mayan Ruins which were very importan to the Mayan Culture back in 600-1200 AD approximately. A definite must during your visit to Cancun. 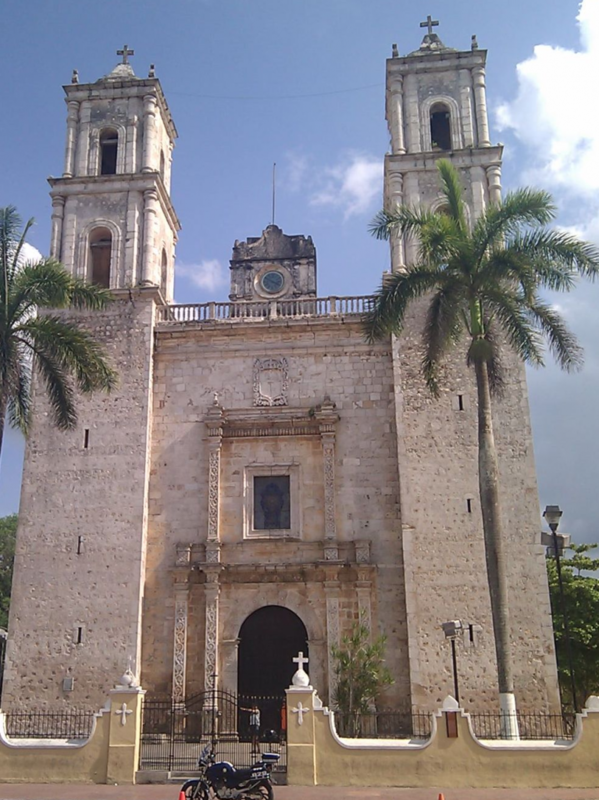 You will get to your first stop: Valladolid, Yucatan, a couple of hours down the road. This is a small colonial city that was first established by the Spaniards in 1527 in a different location, near a lagoon called Chouac-Ha; but the Spaniards living there complained about the mosquitos and humidity so it was relocated to its current location since 1545. If you follow the main street, you'll see the Cathedral de San Gervasio in the center of the town. This is one of the most ancient cathedrals in the region that portrays the typical Spanish Catholicism in the early start of Mexico. Right across from the cathedral, you will find a small plaza where, in the afternoons, you can find entertainment and of course Marquesita stands, a delicious snack made with a crépe base mix and filled with cheese, fantastic. When you finally get to your destination, you must rub sun block all over, put on comfortable shoes and sunglasses, and prepare your cameras of course. 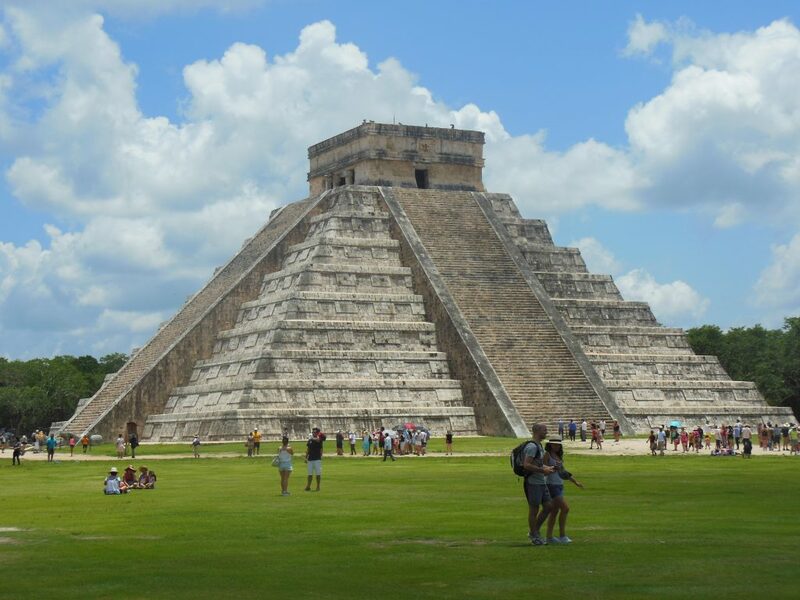 The first thing you can see is a massive pyramid, “El Castillo” or Temple of Kukulkan, that is absolutely mesmerizing; and the history behind it, is just as amazing. This is the main temple that the Mayas built to honor Kukulkan, their deity. This is the pyramid to the “Serpiente Emplumada” or the Feathered Serpent, that twice a year slides down and up the sides of the pyramid during the Spring (March 21st) and Autumn (October 21st) Equinoxes. As you walk through the ruins you find many structures made of stone; each of them are unique and have a significant meaning; a reason for being there, in that spot, with those symbols; that of course your tour guide will explain to you in detail. Every bit of Chichen Itza is interesting, the ruins, the “cenotes” or sink holes that are not swimmable but still make great photographs, the history; everything! As well as many stands with all kinds of souvenirs to take home, a nice buffet restaurant with traditional food and fresh water. Once you finish the visit at the ruins, you can end the afternoon at the Cenote Ik’Kil, which is a few minutes away, tickets available at Chichen Itza. This cenote was used by the Mayas for relaxation and ritual services. It is open to the sky with the water level about 85ft below ground level. It has a carved stairway where you can find locals and tourist alike jumping off the platform, about a 10ft drop. It is the perfect way to freshen up and get ready for the trip back home. It is truly an experience, starting with the long road trip and ending with great photographs. 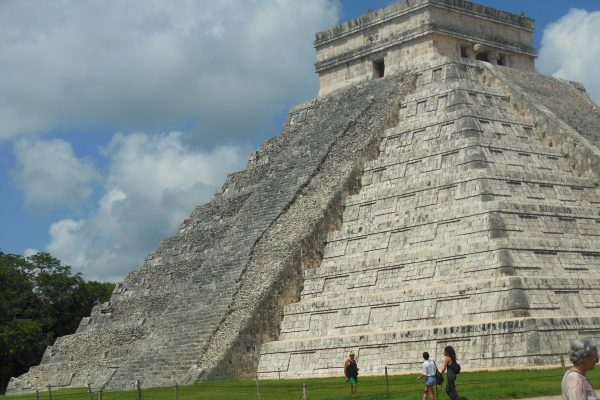 You truly cannot visit Cancun or the Mayan Riviera and not enjoy Chichen Itza, I assure you, you will not regret it. Ready to book your trip, click here.